Dal 07 al 10 aprile MTVPuglia vi da appuntamento al Vinitaly di Verona nel Pad.11 Regione Puglia (isola F5/G5 – stand 28) con l'enoturismo di qualità. 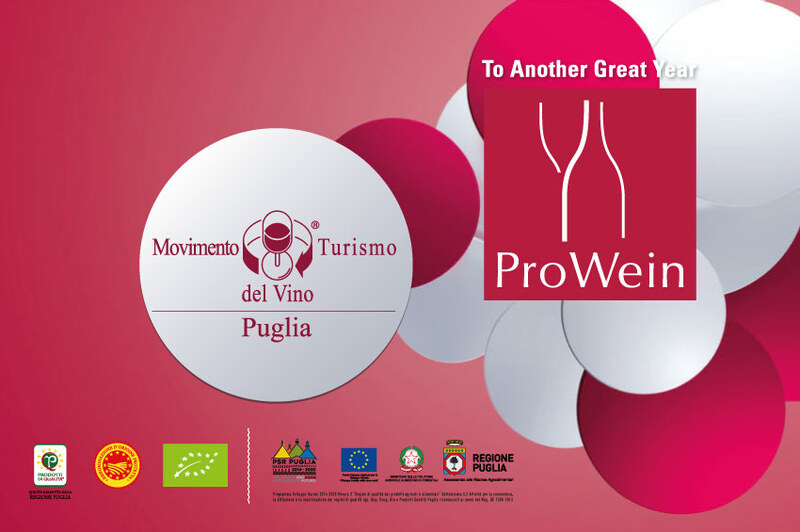 Autochthonous vines of Puglia protagonists from 17 to 19 March for the 25th edition of ProWein. Present 60 exhibitors representing the main wine-growing areas of the entire region. From April 15th to 18th MTVPuglia will be meeting at Vinitaly in Verona in the Area of ​​the Italian Wine Tourism Movement (Hall 10 Stand A2) with quality wine tourism. Puglia goes to ProWein, with 62 exhibitors offering a wealth of quality wines.